Mount Everest also known in Nepal as Sagarmatha and in Tibet/China by various romanisations of Chomolungma is Earths highest mountain standing at 8848 meters or 29029 ft. above sea level. The international border between China and Nepal runs precisely across the summit point. Many people have attempted to summit Mt Everest with the first recorded efforts being made by British parties in 1921 and 1922 expeditions. The 1924 expedition resulted greatest mystery and controversy on Everest to this day. George Mallory and Andrew Irvine made a final summit attempt on June 8 1924 but never returned, sparking debate as to whether they were the first to reach the top. They had been spotted high on the mountain that day but disappeared in the clouds, never to be seen again until Mallory’s body was found in 1999 at 8,155 m (26,755 ft.) on the North face. Circumstantial evidence suggests they reached the summit that day, such as Mallory’s snow goggles were stashed in his pocket meaning he was descending at night (the estimated time it would have taken them from the second step to the summit and back, this was the approximate place of their last sighting) and a picture of Mallory’s wife was absent from his document pouch, something that Mallory was quite vocal about leaving on the summit should he make it. Mallory’s famous quote when asked why do you wont to summit Mt Everest? New Zealander Edmund Hillary and Tenzing Norgay, a Nepali Sherpa climber from Darjeeling, India where first to reach the summit. They reached the summit at 11:30 am local time on 29 May 1953 via the South Col Route. At the time, both acknowledged it as a team effort by the whole expedition, but Tenzing revealed a few years later that Hillary had put his foot on the summit first. They paused at the summit to take photographs and buried a few sweets and a small cross in the snow before descending. The climate of Everest is always hostile to living things. The warmest average daytime temperature (in July) is only about −19 °C on the summit; in January, the coldest month, summit temperatures average −36 °C and can drop as low as −60 °C. Storms can come up suddenly, and temperatures can plummet unexpectedly. The peak of Everest is so high that it reaches the lower limit of the jet stream, and it can be buffeted by sustained winds of more than 100 miles (160 km) per hour. Precipitation falls as snow during the summer monsoon (mid-late May to early-mid-September). The risk of frostbite to climbers on Everest is extremely high. There are only two brief time periods when the weather on Everest is the most hospitable for an ascent. The best one is in April and May, right before the monsoon. Once the monsoon comes, the snow is too soft and the likelihood of avalanche too great. For a few weeks in September, after the monsoon, weather conditions may also permit an attempt, this is not so favorable and the commercial expeditions don’t use this period. In addition to the challenges posed by Everest’s location and climate, the effects of high altitudes on the human body are extreme: the region in the Himalayas above about 25,000 feet (7,600 metres) is known as the “death zone.” Climbers at such high altitude have much more rapid breathing and pulse rates (as their bodies try to obtain more oxygen). In addition, they are not able to digest food well (and often find eating unappealing), they sleep poorly, and they often find their thinking to be confused. These symptoms are manifestations of oxygen deprivation (hypoxia) in the body tissues, which makes any effort difficult and can lead to poor decisions being made in an already dangerous environment. Supplemental (bottled) oxygen breathed through a mask can partially alleviate the effects of hypoxia, but it can present an additional problem if a climber becomes used to the oxygen and then runs out while still at high altitude. Two other medical conditions can affect climbers at high elevations. High-altitude cerebral edema (HACE) occurs when the body responds to the lack of oxygen by increasing blood flow to the brain; the brain begins to swell, and coma and death may occur. High-altitude pulmonary edema (HAPE) is a similar condition in which the body circulates additional blood to the lungs; this blood begins to leak into the air sacs, and death is caused essentially by drowning. The most effective treatment for both conditions is to move the affected person to a lower elevation. Climbers hydrate profusely and often taken aspirin like candy to thin their blood and increase their circulation to avoid the devastating effects of altitude sickness. 15th May 2006 40 other Everest climbers heading for the summit on the north face with many making no attempt at a rescue a stricken climber David Sharp. Sharp died under a rock overhang known as “Green boot’s Cave”, sitting with arms clasped around his legs. Sharp was on his third and final attempt at the summit, he was all in as the poker players describe it. Sharp spent the late afternoon and night on Everest’ ridge all alone and one will never know if he reached the summit descending to his resting place. By contrast, on 26 May the same year Australian climber Lincoln Hall was found alive having been declared dead the day before. He was found by an American party of four climbers who, giving up their own summit attempt, stayed with Hall and descended with him and a party of 11 Sherpa’s sent up to carry him down. Hall later recovered fully. Over 250 people have died attempting to climb Mount Everest. Avalanches, rockslides, blizzards, falls, altitude sickness, freezing temperatures, exhaustion and combinations thereof have all proven fatal, particularly in the so-called “death zone” above 25,000 feet. Since getting them down is grueling and dangerous, most of the corpses remain up there. They are well preserved in the snow and apparently serve as trail markers for climbers who pass by. 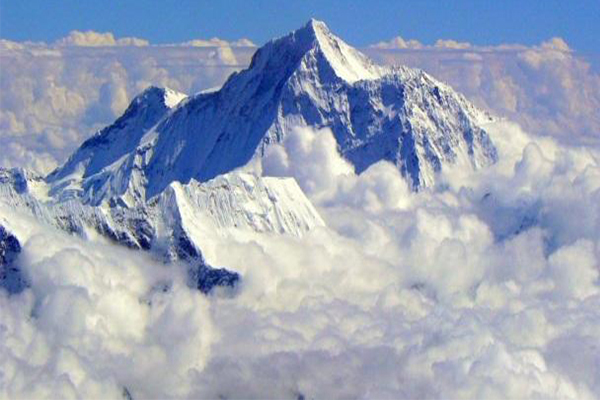 Everest’s deadliest day occurred in May 1996, when eight people perished in a storm. Yet that incident, made famous by Jon Krakauer’s book “Into Thin Air,” did nothing to stem the tide of people willing to shell out tens of thousands of dollars for a chance to tame Earth’s highest mountain. Traffic jams have even been reported near the top, and a fistfight broke out this April between three European climbers and more than 100 Sherpa’s, over what the guides deemed to be rude and dangerous behavior during an attempted ascent. Meanwhile, the deaths keep coming, including 10 in 2012 and around eight last year. 5 Australians have died in their attempts to summit with Tony Tighe November 16, 1972 the first and the most recent Mark Auricht May 24, 2001. Due to the difficulties and dangers in bringing bodies down, most of those who die on the mountain remain where they fall, although some are moved by winds and ice. Not all bodies have been located, with details on those fatalities are not always available. April 2014 saw 17 more deaths. The Sherpa guides were ascending high up above base camp in the khumbu ice fields in the morning to fix the ropes for hundreds of commercial fee paying climbers when the avalanche hit. The area is locally known as “Popcorn Field”, lies within the Khumbu Icefall it is below the traditional site of Camp II. This is the only route available to enable climbers to reach the summit. As soon as the avalanche hit, rescuers and fellow climbers rushed to help. A helicopter was also sent from Kathmandu. It was reported everyone was really shaken at base camp. Some of the climbers immediately packed up their belongings and left. While some of the commercial operators continued to stay on the mountain at base camp and tried to negotiate with Sherpa’s to return to work for the summit assaults. None of the Sherpa’s returned to work in 2014 in respect for their fallen friends. Typical climbing techniques for remote high altitude mountains have remained much the same for just under a century, other then advances in gear. Perhaps because most of the early climbers on Everest had military backgrounds, the traditional method of ascending it has been called “siege” climbing. With this technique, a large team of climbers establishes a series of tented camps farther and farther up the mountain’s side. For instance, on the most frequently climbed southern route, the Base Camp on the Khumbu Glacier is at an elevation of about 17,600 feet (5,400 metres). The theory is that the climbers ascend higher and higher to establish camps farther up the route, and then come down to sleep at night at the camp below the one being established. (Mountain climbers express this in the phrase, “Climb high, and sleep low.”) This practice allows climbers to acclimatize to the high altitude. Camps are established along the route about every 1,500 feet (450 metres) of vertical elevation and are given designations of Camp I, Camp II, and so on until reaching the south col. Finally, a last camp is set up close enough to the summit (usually about 3,000 feet, 900 metres below known as high camp) to allow a small group (called the “assault” team) to reach the peak. This was the way the British organized their expeditions; most of the large commercial expeditions continue to use it today, with the Sherpa’s ferrying the loads of oxygen, food and fuel to the high camps. Typical time line to conquer Mt Everest takes 2 months, which depend on weather, and the climber’s health and altitude acclimatization. Mt Everest Base camp has turned into a commercial hive of activity during summit assaults; with the aid of computers and Internet facilities the safety of the sport improves. As for the rest of us who will never reach the summit, the next best thing is to hike to Everest Base Camp. The views are owe inspiring and far more achievable for us common folk. Mt Everest has two base camps one in Tibet/China sits at 5150m (commonly closed by the Chinese government) and the other in Nepal 5356m (the most popular trekking route) which is accessed via Lukla on the worlds so called most deadliest airport or walk in from Jeri after a bus ride. Everest Base Camp treks take between 15-18 days of hiking, which include acclimatization days in Namche Bazzar, and Dingboche. Gokyo Lakes extension is recommended to the fitter hikers amongst us and it’s here where the views of the oligotrophic glacial fed lakes in located Sagarmatha National Parks at an altitude of 4,700–5,000 m above sea level and is a spectacular side trip when trekking to base camp. Not all treks in Nepal are equal as local operators and multinationals take advantage in the commercialization of Everest continues and some of these following items you should ensure are in place to make your trek an enjoyable and safe one. What’s their evacuation procedure and what support will I receive in Kathmandu if I am sick and feeling unwell. Who will arrange the insurance claims for me if I am evacuated? Is boiled water for drinking provided? Is it included in the trek cost?, as bottled water puts further strain on the local environment. Are all my meals on the trek included? Can I order as many items from the menu? Or am I only limited to certain items? What if I am still hungry because the potions are small and I need the extra fuel at altitude? Is a Gamow Bag (Pressurized altitude chamber) provided? These help treat altitude related sickness should this unlikely event occur. Do they carry satellite communications for emergencies? Are the porters provided meals or do they have to buy their own meals? What kind of gear do you provide the porters? Are the porters provided with good hiking boots? Is the staff insured and if required will you pay for staff helicopter evacuations, which Nepali insurance companies don’t cover? While these issues may sound trivial on paper, these are all very important once you are on the ground and trekking and the care of the locals is paramount and we encourage you not to go with the cheapest operators as they are most likely not paying their porters correctly and providing a safe work environment. Many years ago I trekked with a cheaper operator and found myself always putting my hand into my pocket to pay for such things and no communications were available relying on other companies had we had an unwanted event whilst on tour. This is not the local guides and porters fault but however it did detract from my experience. 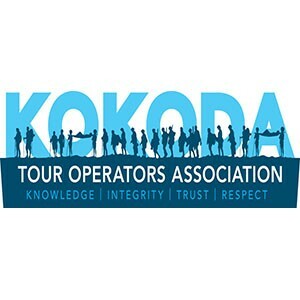 There are many great trekking companies out there but being sure to choose an environmentally sensible and safety orientated operator to deliver your trip. Come trek to the high altitude base camp with Escape Trekking Adventures this September and see the beauty of Mt Everest with Australian guide and director Shane Goodwin leading this adventure.